So we wanted to give you a little sneaky peaky into some of the vendors you will see at our show in Hillsboro on Feb 5th. 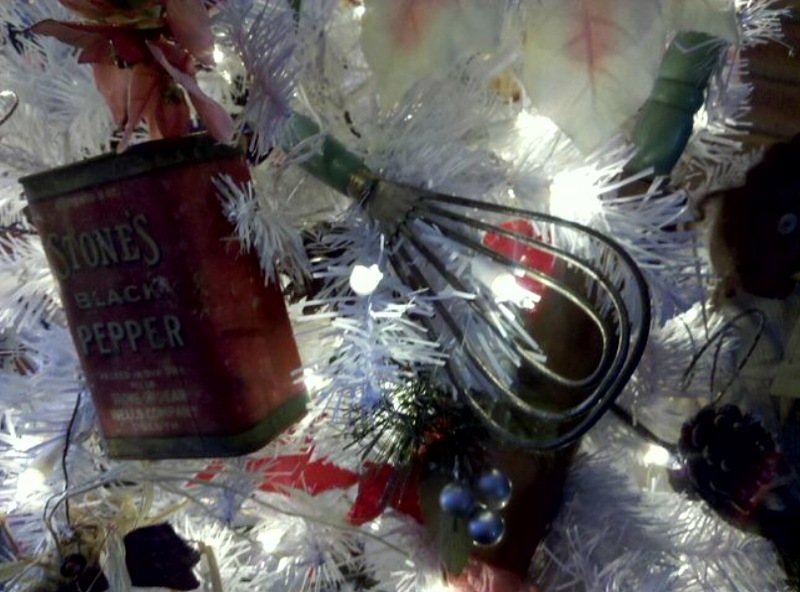 Today we are featuring the very awesome Sue of Bella Shabby. She definitely has an eye for beautiful things and she really knows how to put it all together with just the right amount of pizazz. We admire the way she places each and every timeworn piece. Perfection! 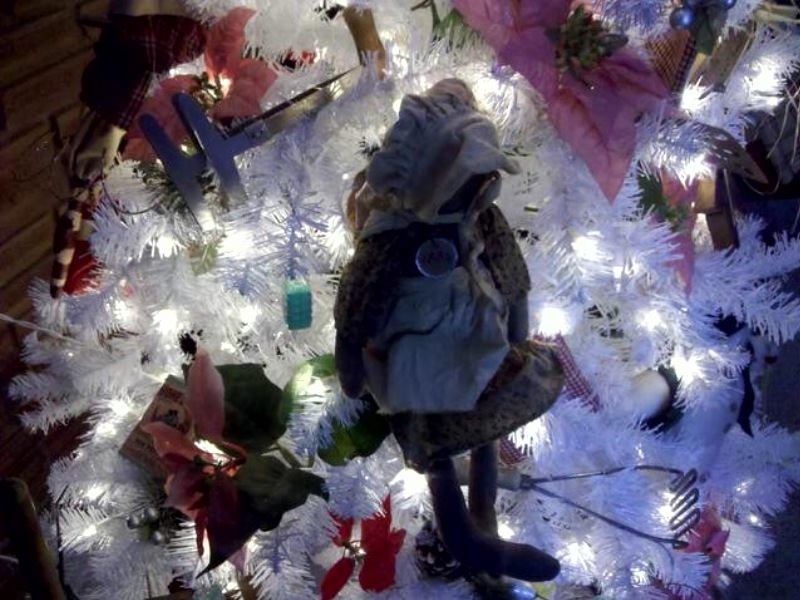 She has been a featured vendor at Barn House several times and she travels with her wares in tow to Farm Chicks and Clayson Farms. 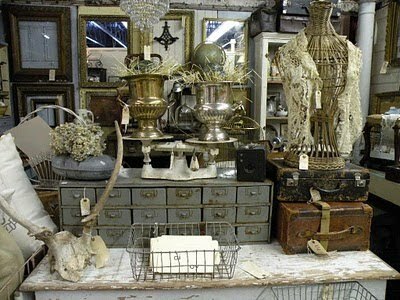 You can also visit her space at Monticello Antiques where you may find her staging the windows to the very popular antiquing establishment. We are so excited to have her participate in our inaugural Portland show! 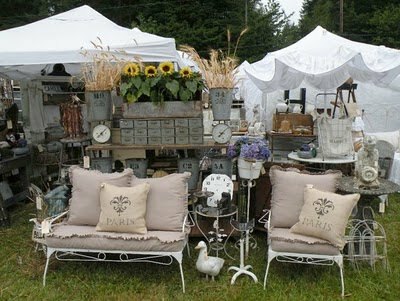 Watch for more vendor profiles coming soon! I Brake For Junk Salvation! 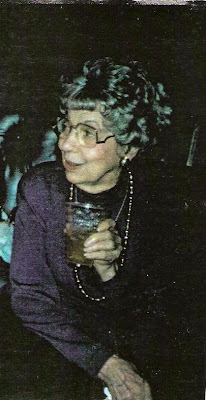 Ya'll know that everything we know bout junkin' we learned from Funky Junk Sister #1, the grand junkin' queen herself, our MOTHER! We've told you before that she used to force it on us and us bein' the cleaver girls we are, we turned it into a business...whoda thunk? 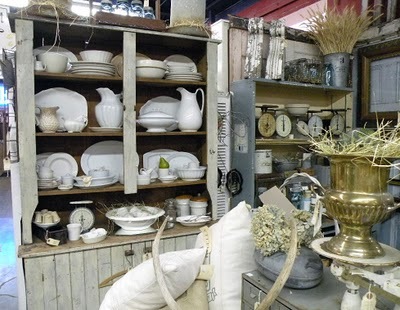 Well we spent some time over at Mom's the other day and thought we would share a little junkin goodness with ya. She's a true blue junker and you can see it and feel it in everything she does, but somehow this woman can turn junk into magic. Just take a look at her junktabulous Christmas tree... Look closely, you won't want to miss anything. Vintage kitchen utensils tucked in here and there give it just the right amount of charm. MaMa knows what she's doin'- she chose a white tree instead of the traditional green...it makes each piece stand out. And she carefully placed everything in the perfect spot. We will warn you that it might be hard to attempt to do this yourself, it takes many years to collect this stuff. 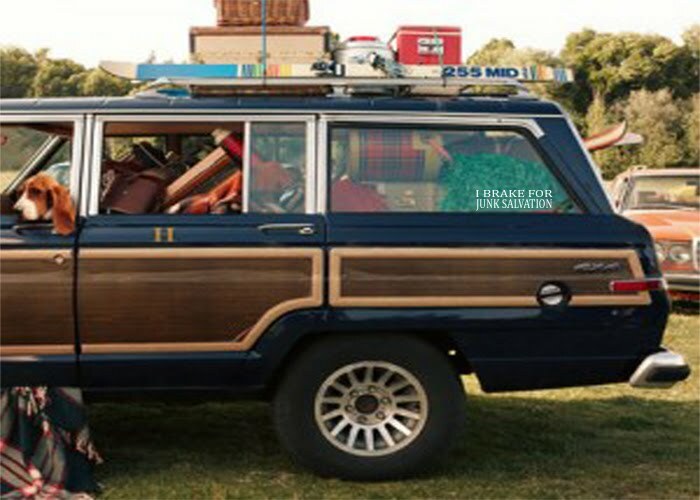 Mom has been scouring garage sales and thrift stores for over 55 years, and let us tell you she is an expert at it. She is the ultimate bargain shopper, if we want to negotiate a price on an item we are lookin to purchase....we sic mom on it. She's ruthless when it comes to price dickering. She'll have the seller in meltdown mode before she takes it home with her. Here's to a Wonderful Joyous Holiday to you and yours. We are signin' off to spend some time with family. We will see you after Christmas Junk Sisters! God Bless ya'll!! 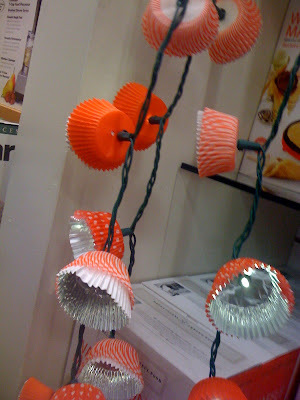 We were in Macy's the other day finishing up some shopping and we saw this CUTE idea. Wouldn't these be sweet used as decorations for a holiday cookie exchange party? You bettcha they would! And we think they would be easy to make too. 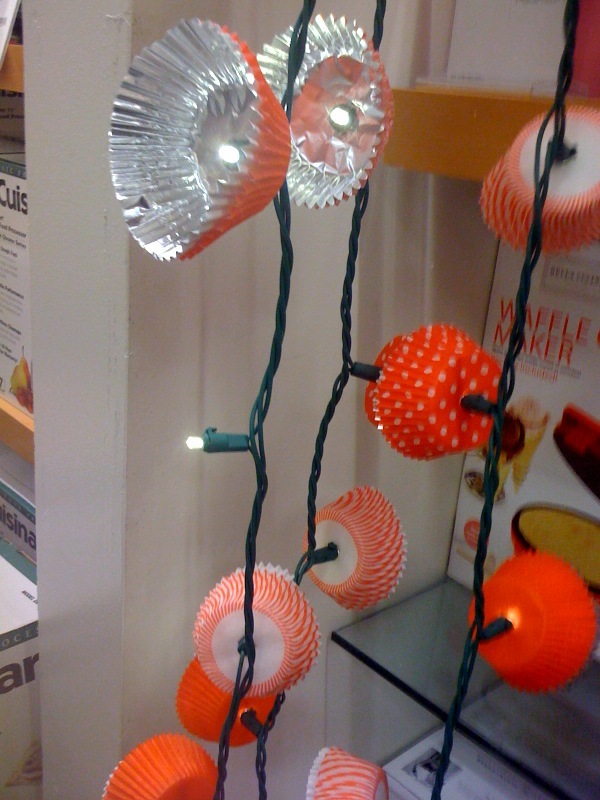 Looks like they used a string of lights, some colorful paper baking cups and some foil lined baking cups. Punch a hole in the bottom and attach to each light bulb....Susie Homemaker....WATCH OUT!! Here come The Funky Junk Sisters and we'll give ya a run for your money!!!! 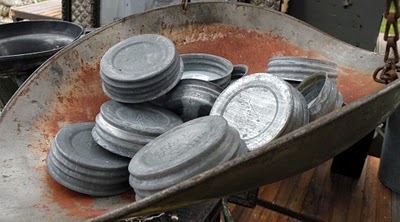 The countdown has begun to our Feb 5th "Junk Salvation" show in Portland, Oregon, have you made your plans yet? Grams sippin on some of her famous beer ball punch. The recipe I am about to give you has been passed down through generations on my hubby's side of the family. I must tell you I feel like I am giving away a secret. A secret weapon that has brought our family many accolades for treating guests to something delicious and prime story telling for the next day...if you know what I mean. (Just ask Dixie someday about Anderson Island, tee hee!). Well ya'll have been requesting this recipe on Facebook so here you go...just in time for the holidays. Be careful though, it's SNEAKY! Ok mix all of this together ad plenty of ice and taste. Tweek it if you need to, ad more beer or water if it's too sweet, more bourbon = more fun! Enjoy! 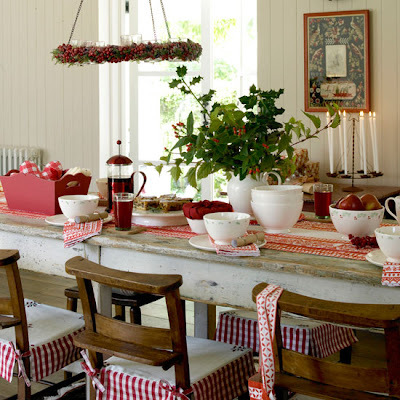 Isn't this just what you would imagine in a farmhouse kitchen on Christmas morning? cardstock and a little ribbon. 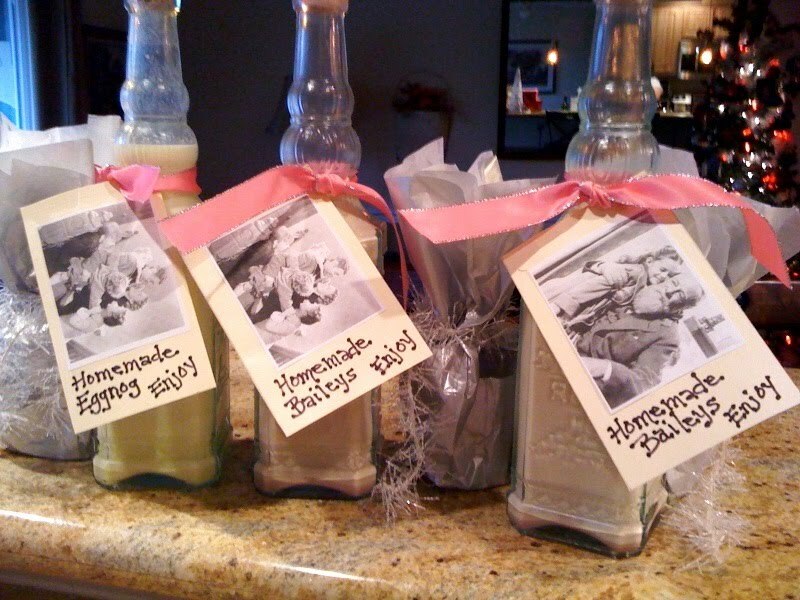 Your guests would think you were so cleaver! Scrumptous! Just a punch of red to make them pop. This is what we would call a Vintage Flea Market Christmas. When you are on the hunt don't discard those shabby, chippy pieces. They look fantastic here. 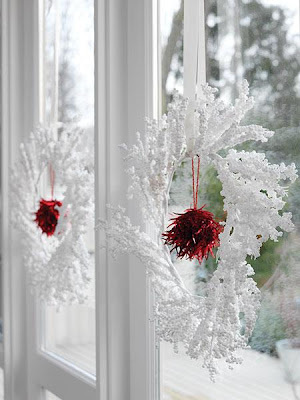 Love the bottle brush trees displayed on the window sashes. They might be small but all together they make a BIG statement! Our Portland, Oregon show is just around the bend, it'll be here before ya'll know it. Make it a girl's day out Feb 5, 2011! Hope ya'll enjoyed our 12 Days of Giveaways! 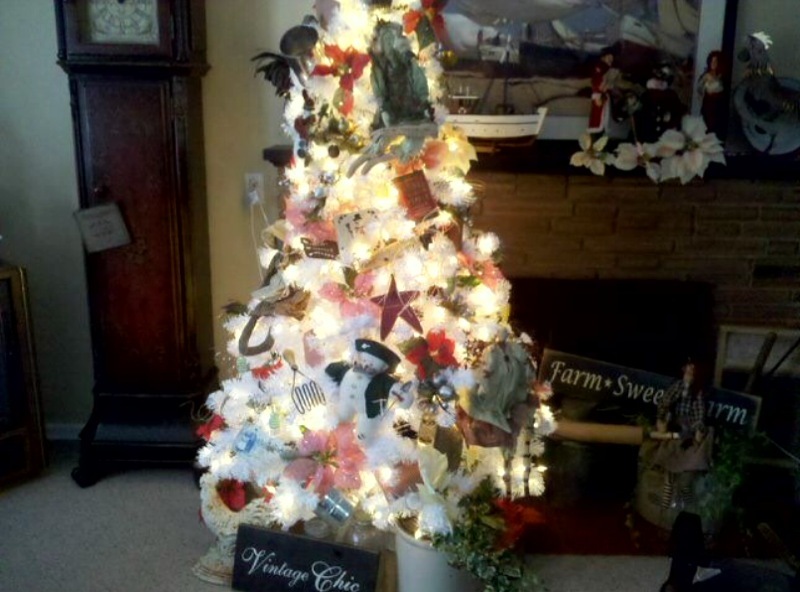 Yesterday's winner was Lori of Katie's Rose Cottage. Please contact us by email funkyjunksisters@live.com so we can send your prize to you by SNAIL MAIL! 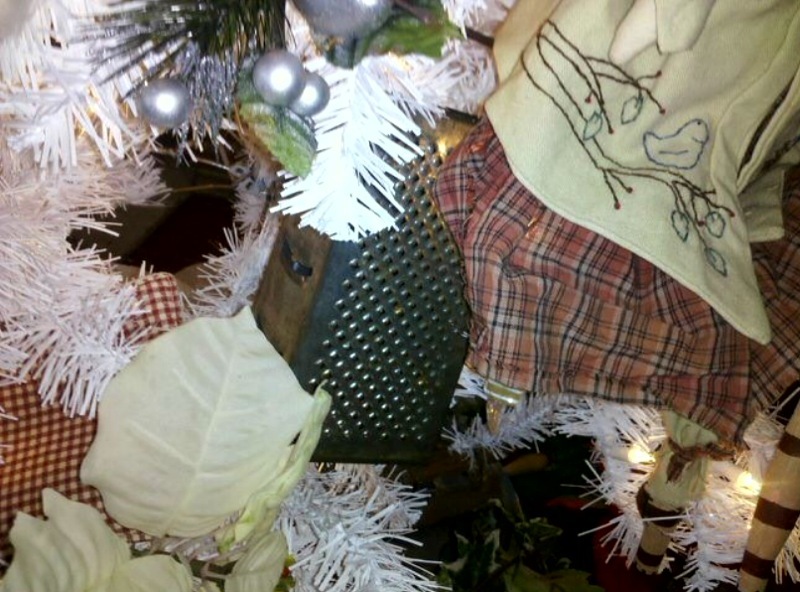 We like to create our own Christmas tags for our gifts. This year we decided to use vintage ads and photos. Just look at the fun graphics we found. This one is our favorite, super RETRO, kind of like a cutesy pin up poster! 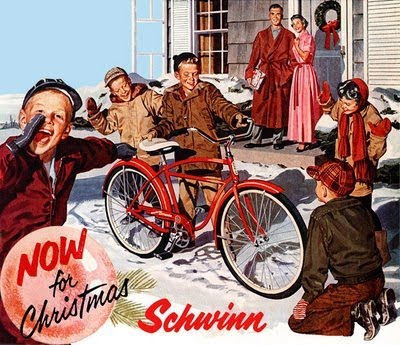 Everyone wanted a schwinn for Christmas....mine was a purple stingray with a sparkly silver banana seat! 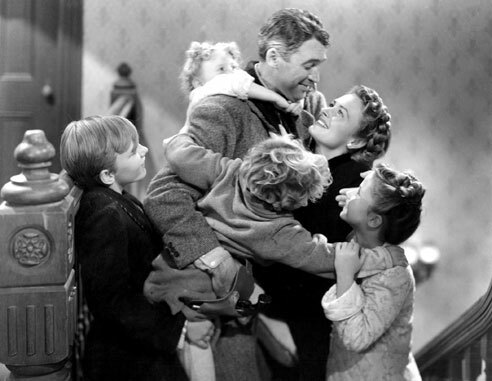 Remember, it's a Wonderful Life! 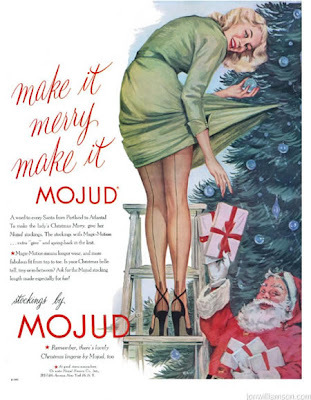 The stocking ad below is another variation of the first one. 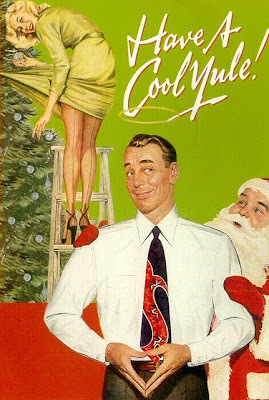 Santa's gettin a little FRISKY! 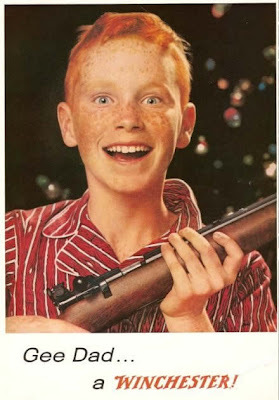 Love the expression on this boy's face! 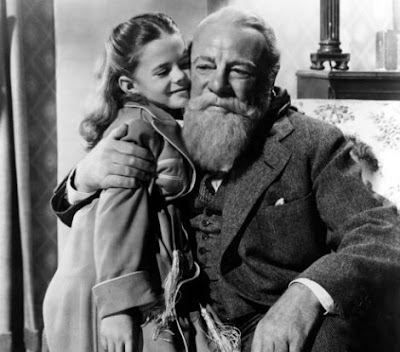 Of course Christmas wouldn't be complete without "Miracle on 34th Street". Little Natalie Wood is absolutely darling. Below is how our tags turned out, we just mounted the photo on card stock (actually it's a recycled file folder) and punched a hole through the corner. Perfect for our homemade holiday libations! We'll share those recipes with you soon! 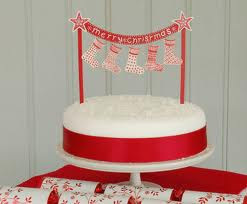 Remember take some time to enjoy this season....slow down, do some holiday crafting or baking. You deserve it, so does your family. Nothin says lovin like stuff from your heart or your oven! Whoo Hoo! Day 12 LAST DAY! 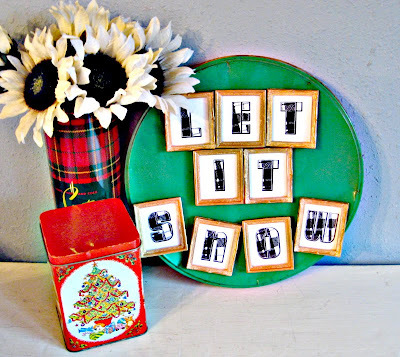 Can you believe that today is the last day of the 12 Days of GiveAways?!! 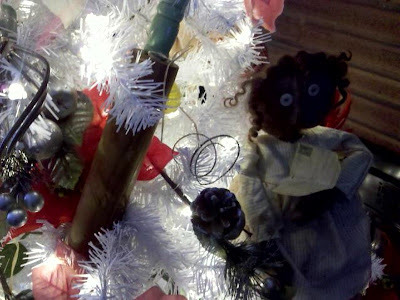 We hope ya'll enjoyed the great gifts we had... and that you have found some new favorites along the way. Today is something a little special from US! First off is one of our Signature Tanks! Doesn't Bri look cute wearing it! 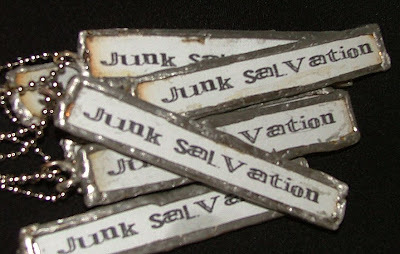 The tank isn't complete without our "JuNk SaLvAtIoN" necklace! 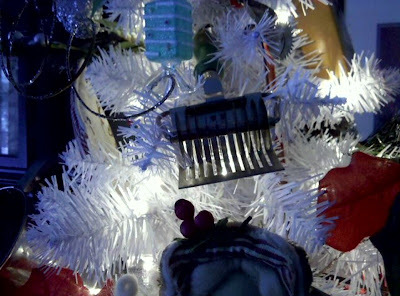 It's so junky~ looks like it came from the SALVAGE YARD!!! and a Vintage Car! Just kidding... How about a "I BRAKE FOR JUNK SALVATION" vinyl window decal?! Last but not least! 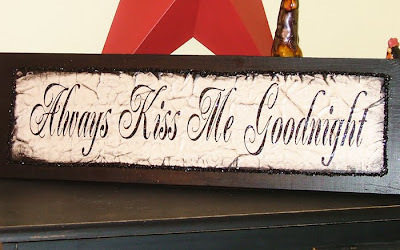 A handmade sign by yours truely... one of my best sellers. Painted, Antiqued and adorned with black glitter! 6x30 in size!!! 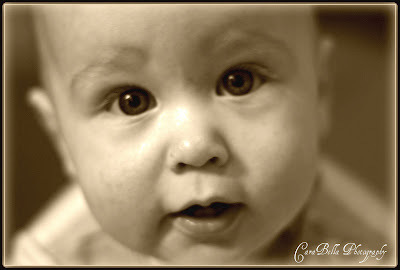 Just leave us a comment on the blog, facebook or twitter... 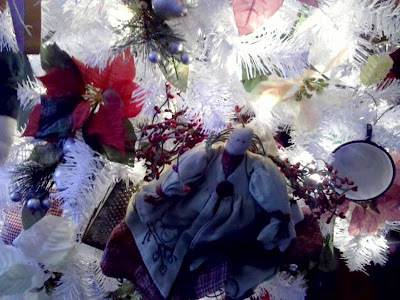 I believe in SANTA! Each comment will earn you a drop in the hat! Linda & I would like to wish you all a MERRY CHRISTMAS. 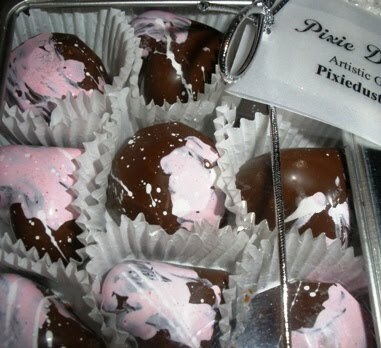 Don't forget that we will be in the Portland area February 5th, 2011! Save the DATE! 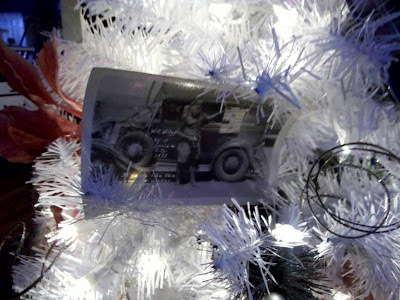 Times flies when you're havin fun...it's already Day 11 of our giveaways. 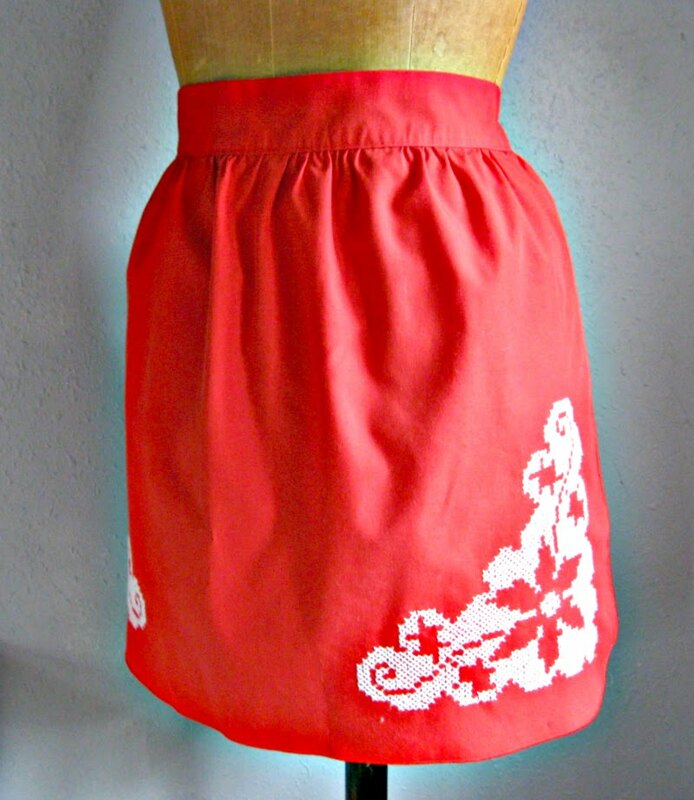 Yesterday's winner was Janis of Rust & Ruffles! Only one day left. We hope all of you have had a fun time with this! OK on to today's giveaways. 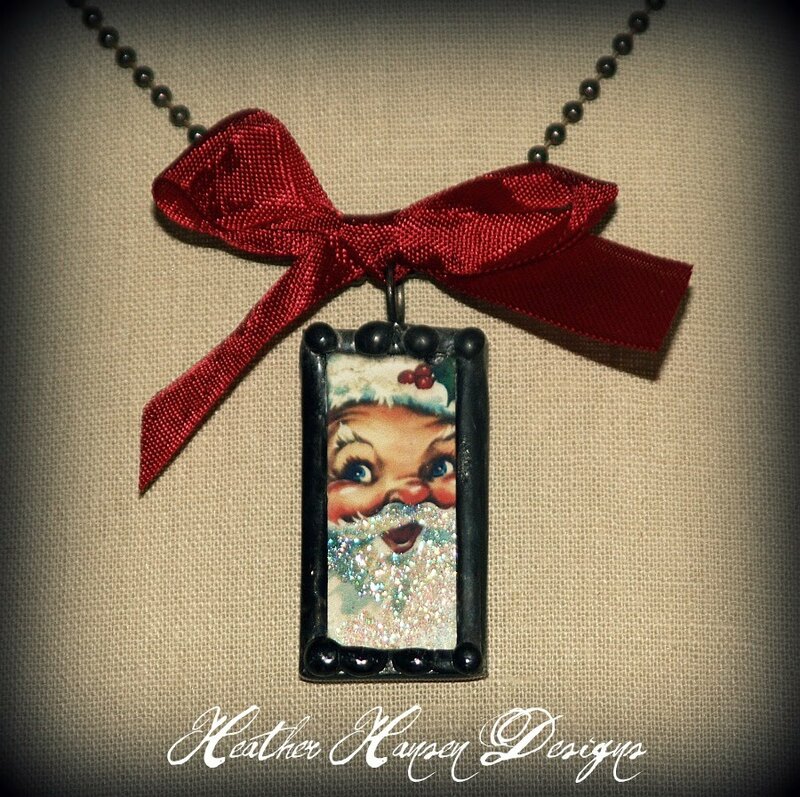 First up we have a beautiful hand made necklace by the one and only Heather Hansen of Heather Hansen Designs. She has been a vendor at our shows before and you can always tell where her booth is...the one with the HUGE CROWD. People love her stuff and here's your chance to get one of her pieces, but remember you can't win if you don't enter! Tee Hee. Next up...Mermaids of T he Lake. These ladies write a lifestyle publication for women and we really love the blog edition of it. You can see it here. These enchanting beauties have put together a prize that consists of some of their favorite things....cocktails, cookies and chocolate! OH WAIT, maybe that's OUR favorite things!!!! 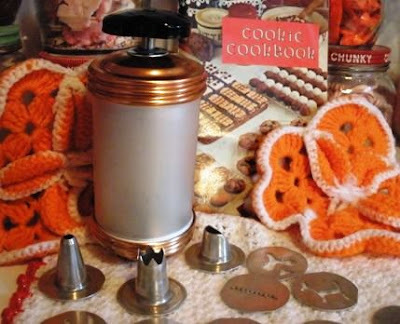 Whichever...these fun things come in vintage form (except for the chocolates). Make sure you visit their blog and tell them we sent you. Ooooooohhhh, look at what we have next. A free portrait sitting by thee one and only Cara Bella Photography! Go FAN her facebook page! Not only is the sitting for free but she's also giving 15% off on all prints! What a great gift a family portrait would be for all the relatives. "I want to win" ... we will know what you mean! 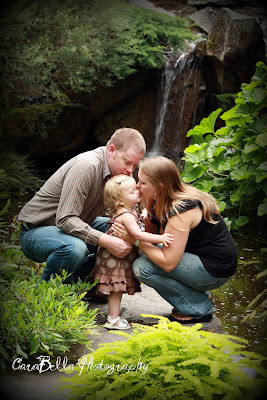 Head on over to the sites of Heather Hansen Designs, Mermaids on The Lake and Cara Bella Photography!!! 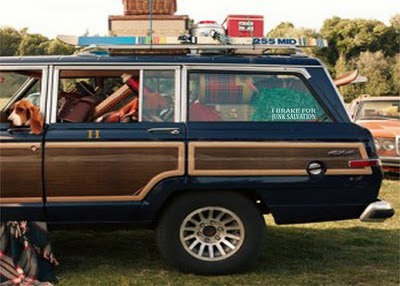 Let them know that FJS sent you & that you want to win! 3. 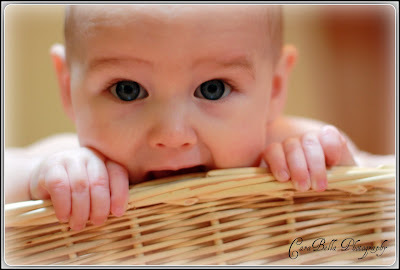 Show some love and leave us a comment here on the BLOG... post on your blog and we will put your name in twice! That gives you a few chances to WIN! Tell your friends all about it... maybe if they win they will share with you. We will have the winner posted on tomorrow's GiveAway! 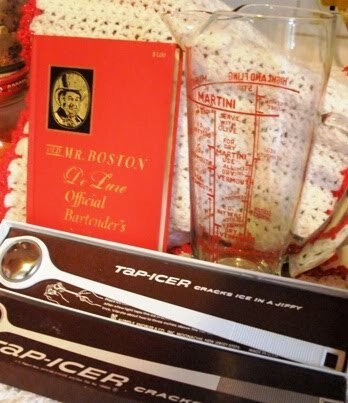 Today's lucky winner will get all of these fabulous VINTAGE treasures! 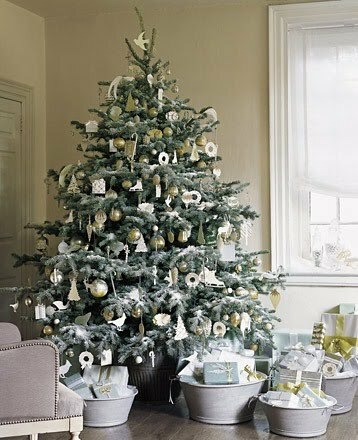 Yes that's our theme for today....A Vintage Christmas. First up is our dear friend Katie of The Classic Farm House. Just look what she's got in store for you. 3. 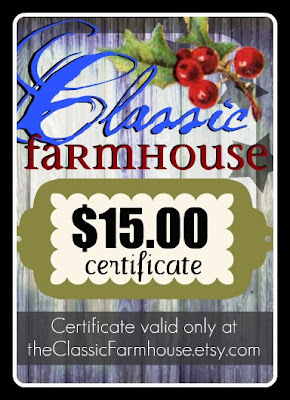 $15 certificate toward anything in her shop at www.theClassicFarmhouse.etsy.com. Look what lovely Liz of Liz Loves Vintage has to give today. 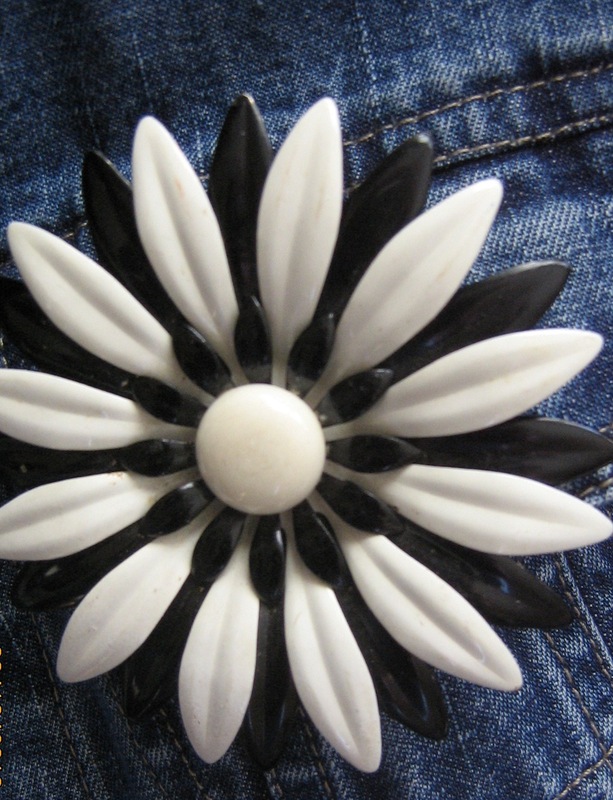 How darling is this VINTAGE pin?Fun and Funky black & white, CUUUTE!!! She's also throwin in a surprise gift bag full of Vintage ephemera. Someone's gonna get lucky! This awsome find of vintageness is brought to you by Karly of Gypsy Treasures. Every kitchen needs one of these, don't cha think? Make sure you head on over to her site or facebook page to tell her how much you want this giveaway (plus you can check out all the other vintage goodness she has)! 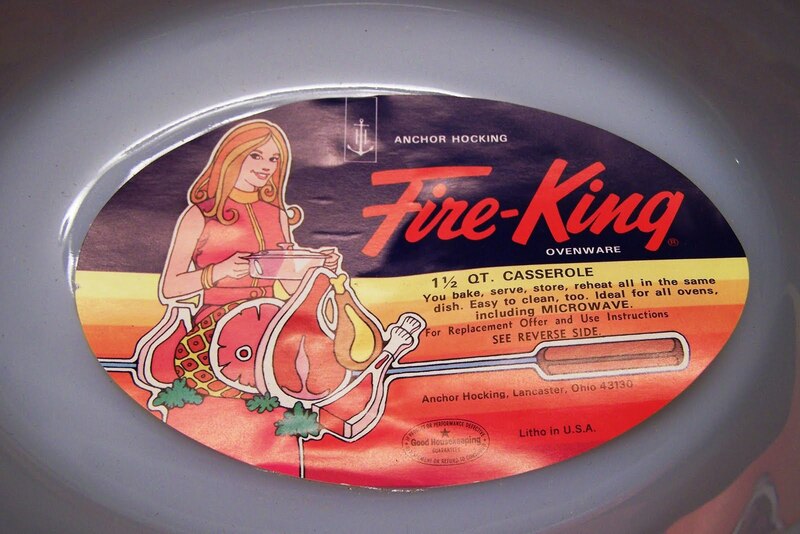 This is what she is offering - Fire King Meadow Green White Casserole Dish w/ Lid. **Never used**. Anchor Hocking, Fire King Casserole Dish with Lid in Anchorwhite with the "Meadow Green" decal, made from 1967 - 1977. 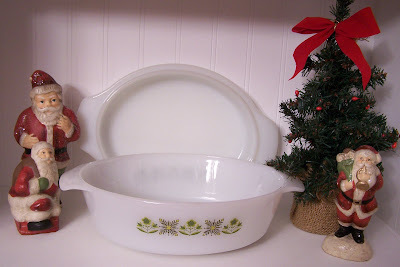 The 1 qt (#436) Casserole measures 7-1/2" has 2 handles and a matching white lid. 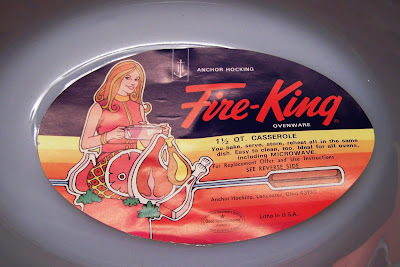 Marked on the bottom is Anchor Hocking's logo, Fire King Ovenware, Made in U.S.A.
"I want a vintage Christmas" ... we will know what you mean! 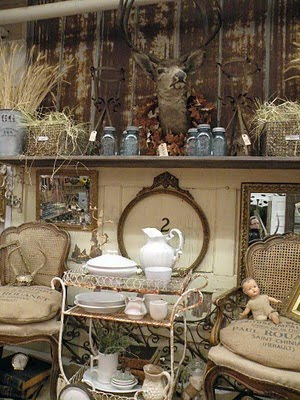 Head on over to the sites of The Classic Farm House, Liz Loves Vintage and Gypsy Treasures!!! Let them know that FJS sent you & that you want a Vintage Christmas! 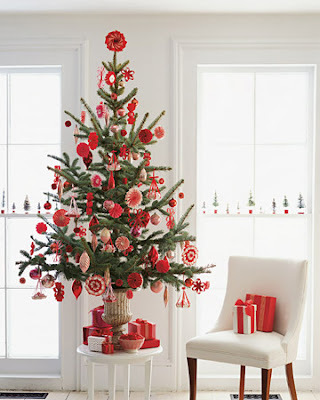 Oooh La La....Day 9 of Giveaways! OMGosh! It's Day 8 of the GiveAways! Today's Giveaway is a Farm Chicks Christmas Book! Come On Sistas...Enter Day 3 of Our Giveaways!